I’ve been in France with a colleague and 18 students for the past two weeks. We’ve done much of the expected visits to all the important sites in Paris, Normandie, and Strasbourg. One of the unavoidable themes is the complicated relationship between Christianity (whether Catholic or Protestant) and the small-r republican expectations arising out of the French Revolution. Central to understanding religion is France is the Declaration of Human Rights and the official separation of church and state. Individual freedom is a high priority and coercion, whether religious or political, is problematic. 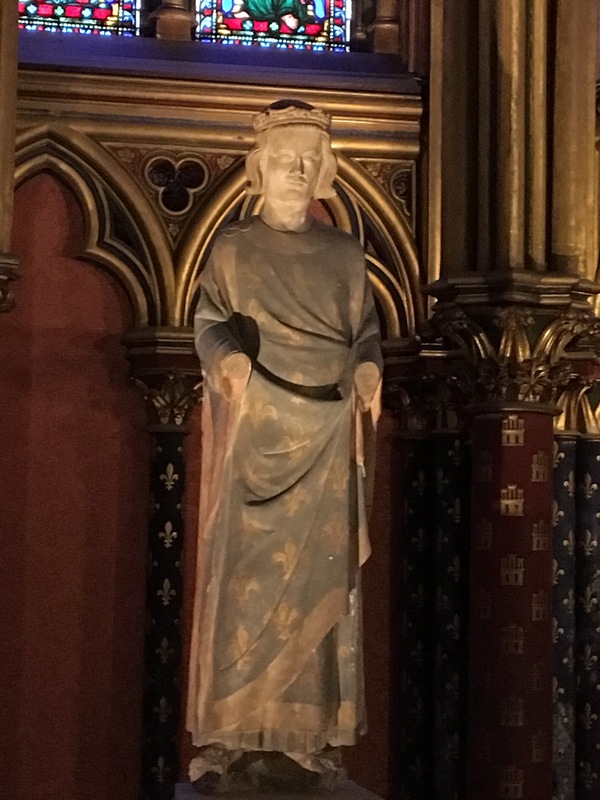 In Paris, we visited Sainte Chapelle, built by King Louis IX. The lower level, which is impressive, was the place where the Royal staff could worship. But what caught my attention was the decor: the ceiling is entirely covered in Royal Blue and Fleurs de Lis, the symbols of French identity. 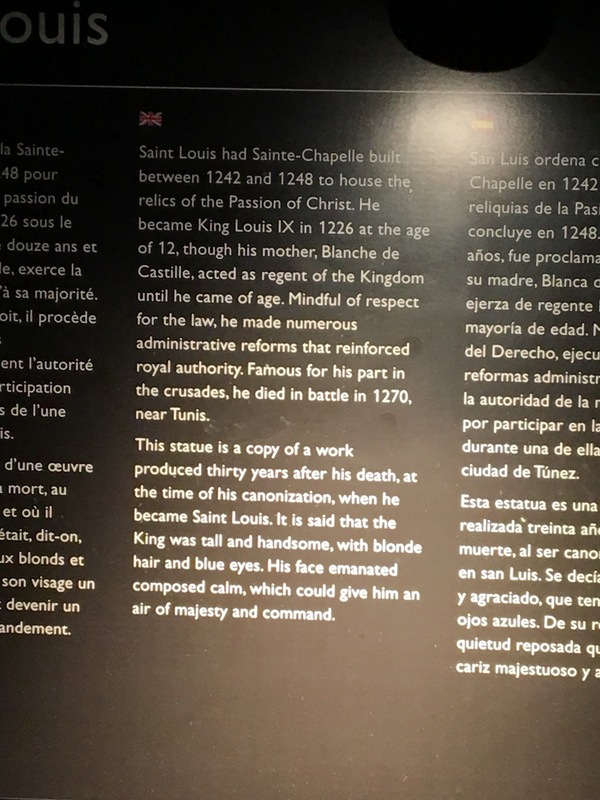 Even before Louis became Saint Louis (evidence of the Divine Right of Kings), the staff would be continually reminded of the symbols of French nationalism. Every time you look up, as the architecture calls you to do, you would be aware of the role of the state. When one visits Notre Dame, the plaque describing its heritage references the reign of both Pope Alexander III and King Louis. This fusion of religious and state authority, especially in the face of a relatively uneducated populace, is intriguing. In Strasbourg, our guide (who specialized in the sociology of religion) explained how the front of the cathedral contained visual reminders of key biblical incidents that could be used to teach an uninformed citizenry. Interestingly, Guttenberg lived in Strasbourg when he invented the printing process but his first print shop was in a nearby German town. When Durkheim studied his aboriginal clans (thanks to his nephew Marcel Maus), he argued that the values celebrated in the clan’s religious rituals were simply the core values undergirding the clan’s social organization. Hence, “religion was society worshipping itself”. 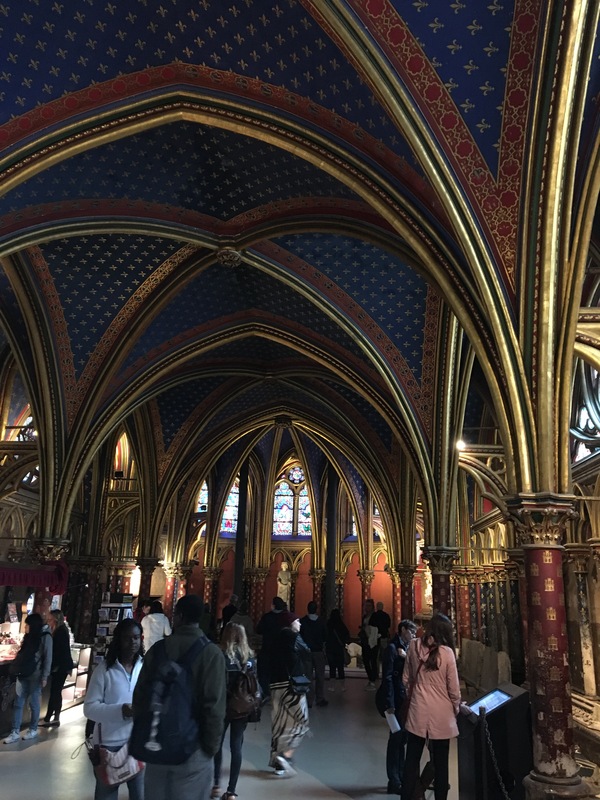 Standing in Sainte Chapelle or in numerous cathedrals, I found myself understanding Durkheim in a whole new light. While he was studying “the elementary forms of religious life”, I imagined him looking up at that ceiling with all the Fleurs de Lis. 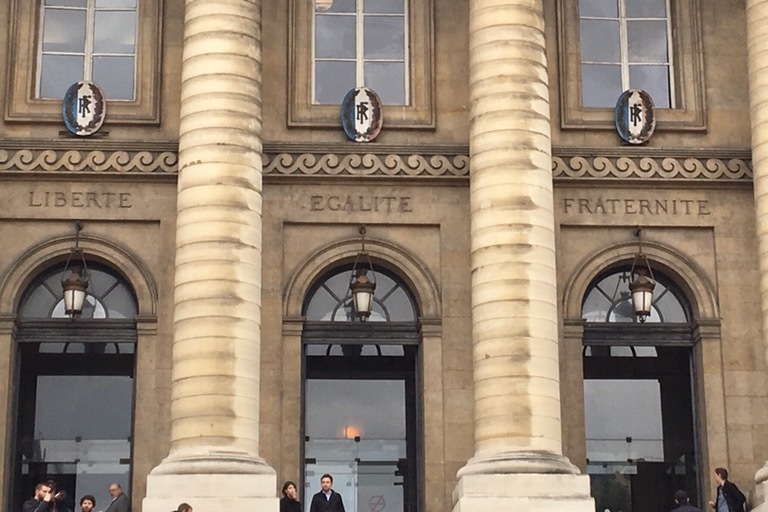 Even the post-revolutionary changes in French society, fueled by conflict and enlightenment values, seem to reflect an approach to religion that puts cultural identity at the fore. Because of the Human Rights Declaration and the strict interpretation of the separation of church and state, religion is privatized and based on living a life of discipline. It’s not a stretch to see even that separation of church and state or the relegation of faith to the personal domain as the outgrowth of cultural values. Suspicious of institutional authority, recognize of diversity (as long as it doesn’t privilege one group), and celebrating family and friends over religious obligation are directly related to Liberte, Fraternite, and Egalite. Even in its secularism France shows the validity of Durheim’s insights.